Why Use Broadcast Messages than Group? How To Send A Message To Multiple Contacts At Once On iPhone And Android? 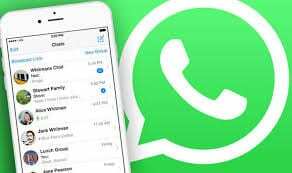 What’s the Use of WhatsApp Broadcast feature? 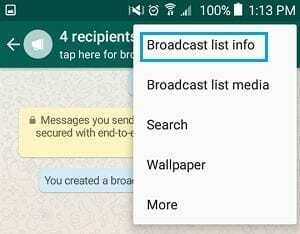 Are Broadcast Lists the Future of WhatsApp? WhatsApp, the most popularly used messaging app offers several advanced options when it comes to messaging other users. You can write messages to individual contacts, use group chat, or broadcasts. The difference between the latter two, i.e. group chat and broadcast may not be clear immediately. 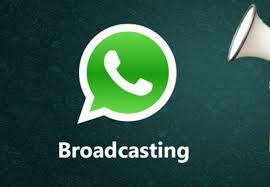 In this article, we will discuss WhatsApp Broadcast Message in detail. Not many people know about this feature, but WhatsApp allows you to forward a message to multiple contacts quickly. By doing so, you can save a lot of time on several occasions. For example, during Christmastime, you may create a greeting message and send it to anyone. It can also be helpful if you have to give the same information to several people. To send the same message to multiple contacts on WhatsApp use the Broadcast function. 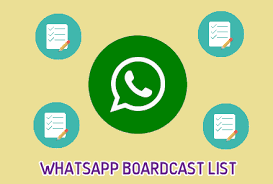 The best way to understand what a WhatsApp Broadcast List is and how it works is to learn the differences between such a list and a regular WhatsApp Group. Once you understand these differences, you will see why Broadcast Lists could be the key to WhatsApp’s future. The answer is simple: if you create a broadcast list, no one will know that the message has been sent to others. A broadcast list is helpful when you don’t want to let the recipients know that you have forwarded the same sent message to others. It’s like the “bcc” function (blind carbon copy) in emails. On the iPhone, open the chats list and click the Broadcast Lists button at the top right under Edit. Then tap on the New list at the bottom of the broadcast list and enter the names of the contacts you want to send the message to, or press (+) to pick recipients from your contact list. On Android (and other operating systems), click Chat-> Menu at the top right of the screen and then tap on New Broadcast. Type the recipients’ names or press (+) to pick recipients from your contact list. None of the recipients will know that the message was sent to other people. The recipient receives a single message like in a regular chat. If the recipient responds, the new messages will be received only by the sender. If you want your recipients to participate in a group chat, you have to create a Group instead. Broadcast messages are received only by recipients that have stored the sender’s phone number in their phone book. You can think of group chat and broadcasts as equivalents to CC and BCC in emails. If you select to chat with a group of contacts, all messages are shared with all group members including the full list of participants of the chat. This is like the CC field in an email where everyone else sees the email address of all other users who were added here by the original sender. A broadcast, on the other hand, is like BCC, meaning that contact information is not shared. While you will still send the same message to everyone on the list, each individual list member does not see if someone else got the same message as well. BCC in emails takes care of that so that the email address of each recipient of the email is not shared in each individual email. A core difference between WhatsApp’s capabilities and email is that you have to select one or the other but cannot mix the two. When you send an email, you can use both CC and BCC in the same message, but you cannot do group chat and broadcasts at the same time in WhatsApp. Open the WhatsApp messenger on your device. Tap on the options button in the top right corner of the screen and select New broadcast list from the context menu. Type names of contacts that you want to include in the message. Note that only contacts that have your phone number in their address book will receive that message. You can add up to 256 different contacts here. Once you are done, tap on the create button. You can now start writing and send the text to all recipients of the list just like you do in group chat, but without them knowing about each other. Recipients can be added or removed from that list easily. To do so, go back to the chat listing on the start page of the app. Just, long-tap on the broadcast list, then select broadcast list info from the context menu that opens up after a second or two; and here you see a listing of all recipients and a direct option to add a recipient to the list or delete the broadcast list entirely. A long-tap on a recipient displays another menu. You can remove the contact from the list using it. Think of broadcast as forwarding the same messages to hundreds of recipients individually. Instead of forwarding the same msg to them each time by copy-pasting, you’re broadcasting at once. This is useful on occasion of festivals and holidays. The recipients will not know each other so they won’t know who else is receiving the same msg, though they’ll understand that the message is received in form of broadcast because a little broadcast icon appears before such messages. This is also useful if you want individual/private replies from your recipients for particular broadcasted messages. For example, you can broadcast your wedding news and receive congratulatory wishes privately from your contacts. You can broadcast a question to several contacts and receive opinions/answers privately. Several such use cases are there, but use groups if you don’t want your broadcast messages to spark private one-to-one conversation. For any message that you send, you’ll be able to see a Message info screen, displaying the details of when your message was delivered, read or played by the recipient. To see the Message info screen: Open a chat with a contact or group. Tap and hold your sent message. If it’s green, it’s an ordinary text message and doesn’t offer the read/delivered receipts. iMessage only works when you’re sending messages to other iPhone users. Even then, you’ll only see that they’ve read your message if they’ve turned on the ‘Send Read Receipts’ option in Settings > Messages. Message successfully delivered to the recipient’s phone. The recipient has read your message. In a group chat, the second check mark appears when all participants in the group have received your message. The two blue check marks appear when all participants in the group have read your message. For any message that you send, you’ll be able to see a Message info screen, displaying the details of when your message was delivered, read or played by the recipient. Open a chat with a contact or group. Tap and hold your sent message. Tap. Alternatively, you might have to tap the Menu button > Info. Delivered when your message is delivered to your recipient’s phone, but the recipient hasn’t yet seen it. Read or Seen when the recipient has read your message or seen your picture, audio file or video. For a voice message, the recipient has seen but hasn’t yet played it. Played when the recipient has played your voice message. Note: When a participant leaves a group, the Message info screen will still show the original information with all participants, including the participant who left the group. You or your recipient might have disabled read receipts in the privacy settings. The recipient might have blocked you. The recipient’s phone might be off. The recipient might not have opened your conversation. You or the recipient might be experiencing connection issues. To turn off your read receipts, go to Menu button > Settings > Account > Privacy and uncheck Read receipts. Note: This won’t disable the read receipts for group chats or play receipts for voice messages. There’s no way to turn these settings off. 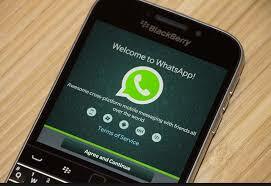 WhatsApp Broadcast Lists have the potential to become a powerful marketing and communication tool. That tool could be utilized by a wide variety of people and institutions. Basically, anybody that needs to reach a group of people with communications can take advantage of Broadcast Lists through WhatsApp. Since most people carry and use smartphones these days, such a list could be a cheap and convenient means of reaching members of the group. A teacher could use a list to send lessons to the members of her class. A coach could use a Broadcast List to reach members of his team. A manager could use a list to contact employees and notify them of changes. A business owner could use a list to send updates to customers. For example, the coach could notify team members if the practice has been canceled. A delivery person could use a broadcast list to notify customers when their package will arrive. The driver of a carpool could use WhatsApp to let riders know what time he will reach them. 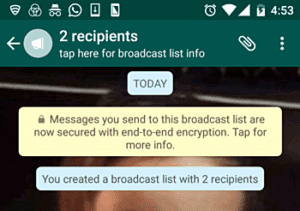 Not surprisingly, many people will be wondering if Broadcast Lists are the future of WhatsApp. After all, such lists could be the catalyst that transforms WhatsApp from a simple messaging solution. Since WhatsApp has around 900 million users around the world, the audience that Broadcast Lists could one day reach could be vast. A logical extension of this application would be to create Broadcast Lists capable of reaching thousands, tens of thousands, hundreds of thousands, or millions of people at once. One strong possibility is that Facebook, which now owns WhatsApp, will enable some sort of widespread Broadcast List solution after the solution reaches a wide audience. Facebook CEO Mark Zuckerberg has spoken about concentrating on WhatsApp’s growth now and monetizing it later. One has to imagine that WhatsApp Broadcast Lists will be part of that plan. That might mean he already has a large-scale WhatsApp Broadcast List feature in the works. The smaller lists currently available could be a beta test for a larger application. This means that those that want to get in on the future of marketing and potentially utilize a media that could reach hundreds of millions of people around the globe should start experimenting with WhatsApp Broadcast Lists now. WhatsApp Broadcast Lists could be the future of marketing. Stay tuned with BulkQ to stay up-to-date with WhatsApp Marketing tips, tricks, and other marketing strategies! Also, subscribe BulkQ now to receive FREE notifications!